While visiting the central Gulf coast of Florida we parked at Horseshoe Cove RV Resort in Bradenton. Bradenton is located between Sarasota to the south and St. Petersburg, Clearwater and Tampa to the north. 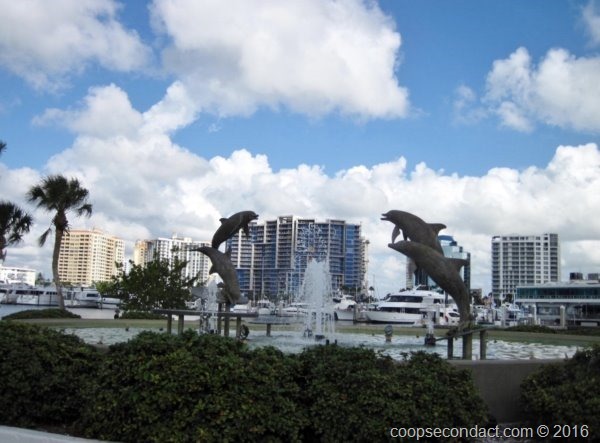 On one day we explored Sarasota as well as Siesta Key which is a little bit further south. The beach on Siesta Key has super white and very fine sand. They proclaim it to be the #1 beach in the USA. I’m not sure that claim has been verified but it is a beautiful beach. On another day we went north and drove on the Sunshine Skyway Bridge which crosses the mouth of the Tampa Bay to connect to the peninsula of St. Petersburg and Clearwater. We explored St. Petersburg as well as St. Pete Beach. 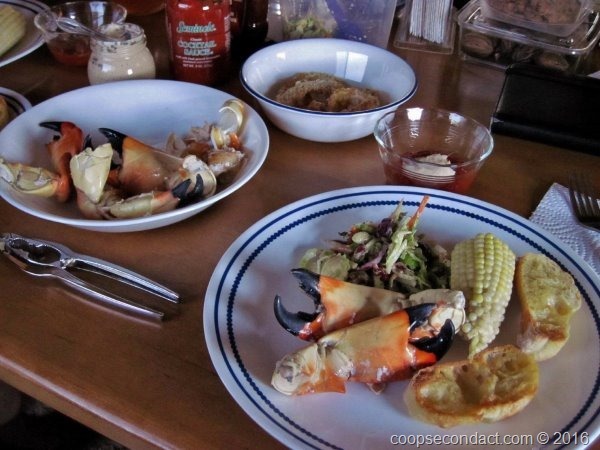 While we were here the season began for harvesting Florida Stone Crabs. Actually, only the claws are harvested since, when the claw is properly removed, the crab can be returned to the ocean where it will regrow its claw. Although they exist elsewhere, stone crabs are harvested overwhelmingly from the Gulf of Mexico. We took the opportunity to try them and found them to be very sweet and super delicious. We’ll be having some more while we’re around the Gulf coast.